BLOGS or WIKIS? 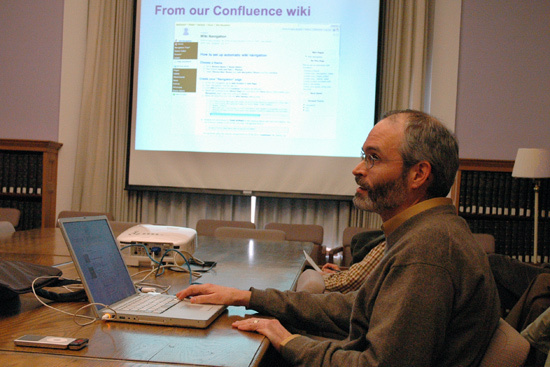 : Kevin Wiliarty, academic technology coordinator, speaks on “Wesleyan Blogs and Wikis: What are they? 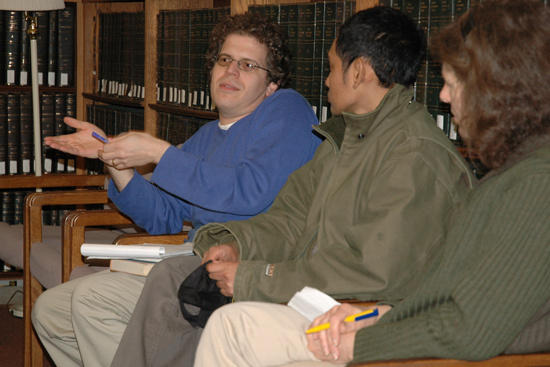 How can I use them?” during the Academic Technology Roundtable March 3 in Olin Library. Wiliarty assists faculty and staff in the creation and maintenance of various professional webpages. He recommends users look into Web 2.0 technologies to collaborate on projects via the web.